Digging back through our archives, I found this video post from February. If you aren’t familiar with the history of the VOA Bethany site, this is a must see. Thanks to Kim Elliott for bringing to my attention. This entry was posted in Articles, Broadcasters, Videos and tagged Bethany Ohio, VOA, VOA Bethany, Voice of America on February 26, 2011 by Thomas. 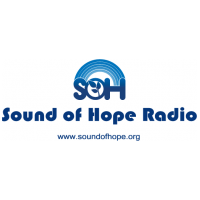 This entry was posted in Broadcasters, News and tagged China, Shortwave Radio, Sound of Hope on February 25, 2011 by Thomas. 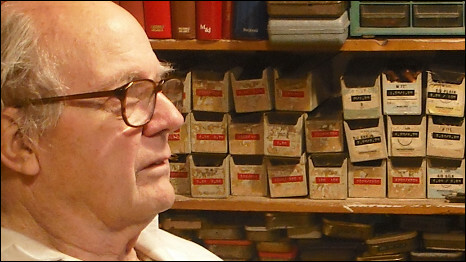 I just discovered (via PRI’s The World Technology Podcast) a 2010 radio documentary about lifelong radio designer and repairman, Gerry Wells. If you haven’t heard it before, I suggest you drop what you’re doing and give it a listen below. This is the most charming radio doc I’ve ever heard out of the BBC World Service. For archival purposes, I have a full copy of the radio doc available for download by clicking here. Again, a special thanks to Clark Boyd with PRI’s The World for bringing this to my attention. This entry was posted in Articles, Radio History, Radios, SWLers and tagged BBC World Service, Clark Boyd, Gerry Wells, Radio Documentary, The World Technology Podcast on February 15, 2011 by Thomas. The Shortwave Radio Index contains over one hundred shortwave radios currently in production. We’re delighted to announce a new website in the SWLing.com family: The Shortwave Radio Index (SWRI). The SWRI is a comprehensive database featuring all known shortwave radios available on the market today. Each post contains a photo of the receiver, links to retailers, links to reviews, specifications, and a brief summary of the featured radio’s capabilities. What’s more, each radio is tagged and categorized so that it is easy to find and compare to similar models. Keep in mind, the SWRI is a work in progress; as new models appear on the market, we will be adding them. If you become aware of a review or retailer not included in our database, please contact us to share this information. This entry was posted in News, Radios and tagged Database of Shortwave Radios, Shortwave Radio Database, Shortwave Radio Index, SWLing.com, SWRI on February 13, 2011 by Thomas. The new RFspace NetSDR has been announced on the RFspace website and Universal Radio is already accepting orders. According to RFSpace, they will have limited availability on February 10th 2011. Based on the NetSDR’s specs, it appears that this will be a very robust and high-performance SDR. RFspace is touting that it’s fully plug and play and designed to be integrated with your home network and the internet. We will post all updates about the NetSDR here and on our new Shortwave Radio Index website (click here for the RFspace NetSDR entry). When available, we will also link to relevant reviews in the SWRI entry. This entry was posted in News, Radios and tagged NetSDR, RFspace, RFspace NetSDR, Software Defined Radio on February 2, 2011 by Thomas.